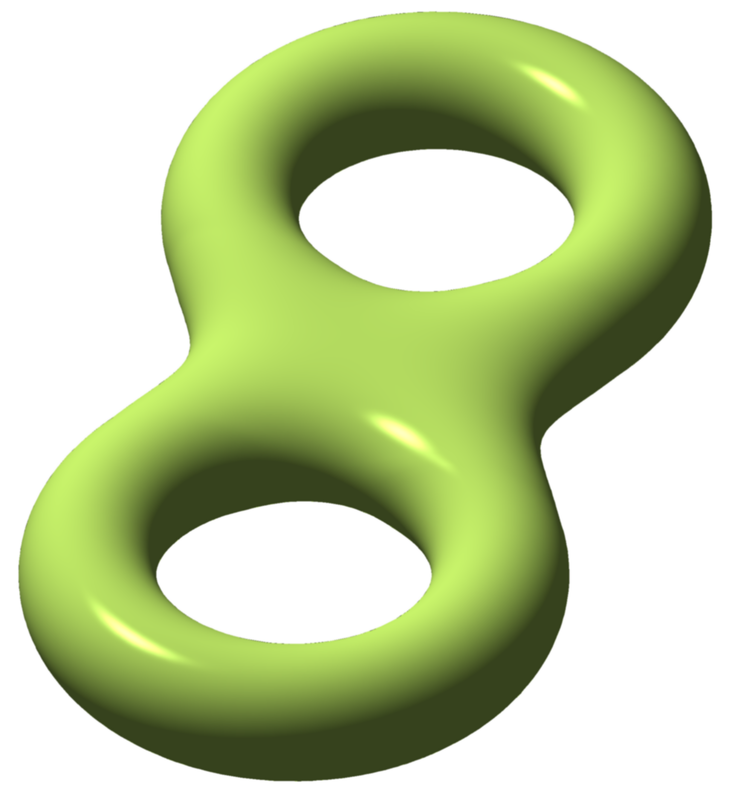 The Kummer surfaces are the quartic nodal surfaces with the largest possible number of ordinary double points, namely 16. In the above picture, Abdelaziz Nait Merzouk has drawn the real points of a Kummer surface. Then, form its Jacobian variety \(J(C)\). This is the space of isomorphism classes of holomorphic line bundles over \(C\) with vanishing first Chern class. 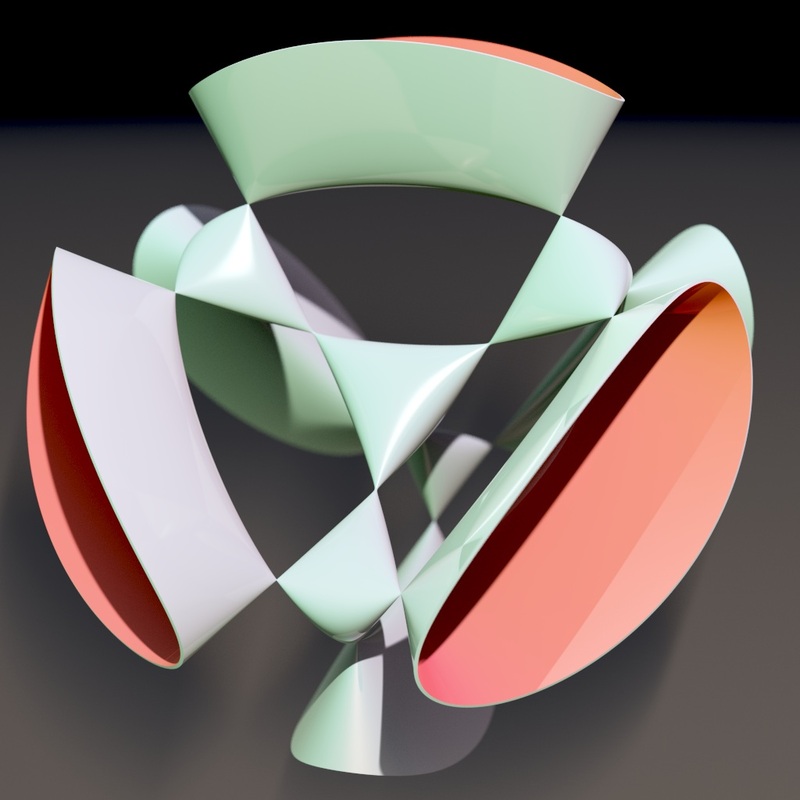 As a topological space, this Jacobian is always product of 4 copies of a circle, but it is equipped with the structure of a complex surface in a way that depends on \(C\). It is an abelian group, thanks to our ability to tensor line bundles, so it has an automorphism \(x \mapsto -x\) called the Kummer involution. The quotient of the Jacobian by this involution is a Kummer surface. The ordinary double points come from the points in \(J(C)\) with \(x = -x\); there are \(16 = 2^4\) of these in a product of 4 copies of the circle group. • Dylan Wilson, Introducing K3 surfaces: Kummer surfaces, 2014. • Kummer surface, Wolfram MathWorld. Abdelaziz Nait Merzouk created these pictures of a Kummer surface and made them available on Google+ under a Creative Commons Attribution-ShareAlike 3.0 Unported license.﻿ Oleg Alexandrov made the picture of a complex curve of genus two and put it in the public domain on Wikicommons. 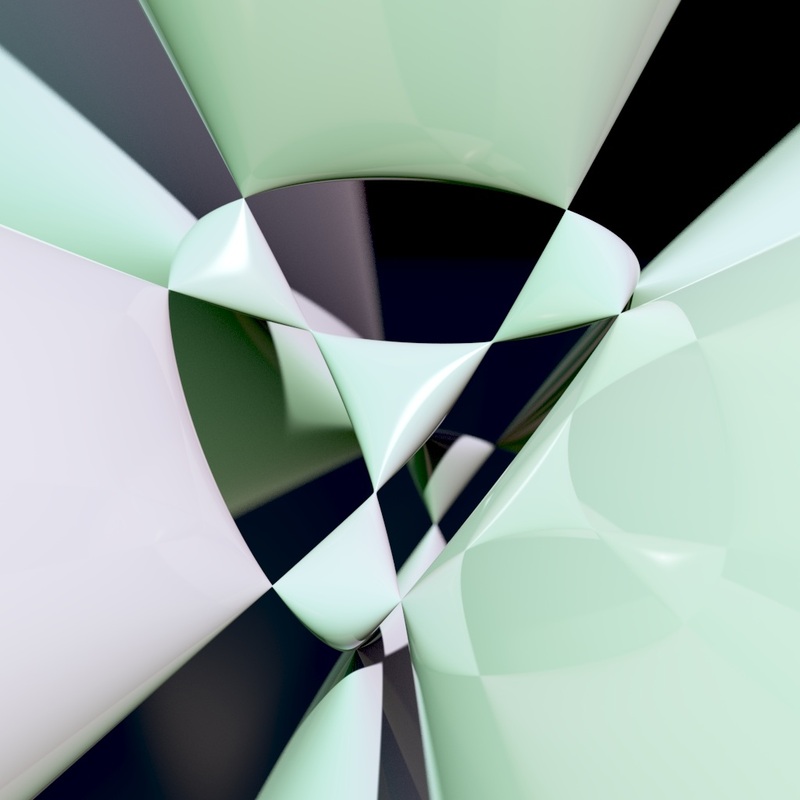 1 September, 2016 in Algebraic geometry, Images Library, Surfaces.